The Lido Beach Resort gulf front view and pool. 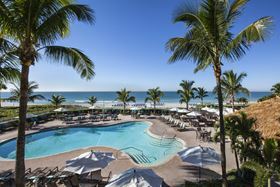 The Industrial Heating Equipment Association (IHEA) says that its next Annual Meeting will take place from from 29 April–1 May at the Lido Beach Resort in Sarasota, Florida, USA. This year the association will also be celebrating its 90th Anniversary at the meeting. It also features presentations and industry-specific discussion. Details and registration information can be found on the IHEA website in early 2019.